In manufacturing facilities, warehouses, and many other worksites, forklifts are used all the time. These machines make it possible to move many things around nearly effortlessly. They also represent one of the most significant hazards in the workplace, and thousands of people each year are injured or killed because of them. Over the years, there have been many things done to help improve forklift safety. Today, forklifts are safer than ever, but only when a real effort it made. There are many things that a company can do to help further improve forklift safety, and they are all well worth the effort. Technology - Forklifts are more advanced than ever. Some companies are even working on self-driving options that could dramatically reduce injuries. Forklift Design - The deigns of forklifts today help to improve visibility, which can reduce the risk of accidents. Visual Communication - Most facilities today use great visual communication strategies so both the forklift operator, and the people working in the area, know what to watch out for. For example, harnessing the power of floor markings to ensure the forklift driver knows what areas to stay in. Forklift Training - The training that forklift operators receive is much more comprehensive than it has been in the past. Employee Training - Good facilities today offer all employees who work in the vicinity of a forklift with training on how to avoid accidents, pinch points, and other common risks associated with forklifts. 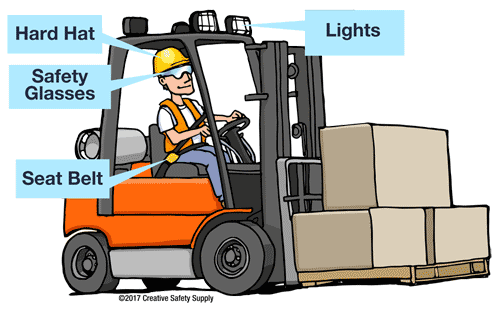 Some additional ideas about improving safety in this area can be found in the complementary forklift safety guide offered by Creative Safety Supply. One of the best things that can be done to improve forklift safety is to learn about the different hazards that can be associated with operating them. There are seemingly endless number of risks and hazards that are present every time a forklift is in operation. Taking the time to identify the hazards in a facility, and making the effort to eliminate or compensate for them, will help ensure everyone is as safe as possible whenever working in the facility. This applies not only to the forklift operators and those that are in the area, but the entire facility. Neglecting Proper Rest - Just like driving a car while tired, operating a forklift while tired is a recipe for disaster. If an operator reports feeling tired, which often occurs after just a few hours of operation, it is essential that they are permitted to take a break. Failing to Identify Blind Spots - Blind spots are one of the most common causes of accidents with forklifts. When making an effort to improve forklift safety, identifying and eliminating blind spots is an excellent place to start. Not Having an Enforced Speed Limit - Forklift drivers often want to get their loads where they need to be as quickly as possible. This can mean driving at speeds that are much higher than is safe for the area. Having posted speed limits, which are enforced by company management, will help dramatically improve safety. Not Watching for Floor Condition Changes - Forklift operators need to remember that their level of control can change dramatically based on the condition of the floor. Since forklifts often operate on concrete, pavement, laminate, and other materials, adjusting their driving for the conditions is critical. Watching for Carbon Monoxide Poisoning - Most forklifts operate on propane, which can emit carbon monoxide. If a forklift is being operated in an enclosed area, it is important to find a way to allow ventilation to prevent poisoning. 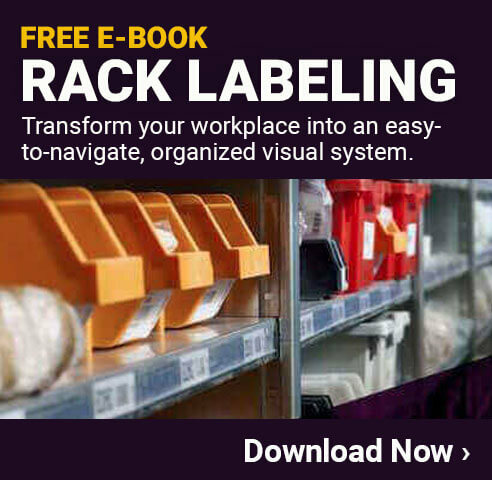 Lack of Visual Markings - Any facility that has forklifts in operation should have visual markings to ensure the operator knows where they should go, and where they shouldn't. This includes aisle markings, stop signs, and more. There are many other types of forklift safety mistakes that are made in facilities around the world. Evaluating the specific safety program in a given facility is necessary to identify the mistakes so they can be eliminated. Another common safety hazard associated with forklifts is their surroundings. Forklifts operate in many types of locations, all of which present different risks. Since forklifts are designed to bring supplies or other objects around to different areas of the facility, they are always surrounded by different things. One of the biggest risks in this area is when they are operating in a small or narrow area. One turn that isn't properly performed can result in damaging property, causing things to spill down on the forklift, or injuring someone in the area. When it comes to forklift safety, it is best to identify and eliminate as many hazards as possible to avoid accidents. No matter how much a company tries, it is impossible to eliminate every risk. To minimize the danger to a forklift operator, and those working around forklifts, it is often a good idea to require people to wear personal protection equipment (PPE). Safety Straps (Seatbelts) - If a forklift operator falls out of the forklift, it can result in a very serious accident. Being securely strapped into the forklift can prevent this from happening. It also helps to keep the operator in the forklift should it tip over, which is the safest place to be. Hard Hats - A hard hat can protect the operator from getting struck in the head from falling objects or other hazards. If an operator was hit in the head and dazed or made unconscious, it could lead to further injuries. Eye Protection - In some environments where there is a lot of dust or debris in the area, wearing eye protection can be very important. Lights - Having lights on the forklift is important, but perhaps more important is wearing lights or reflective PPE for the people who work around the forklift. This can help ensure they can be seen at all times. 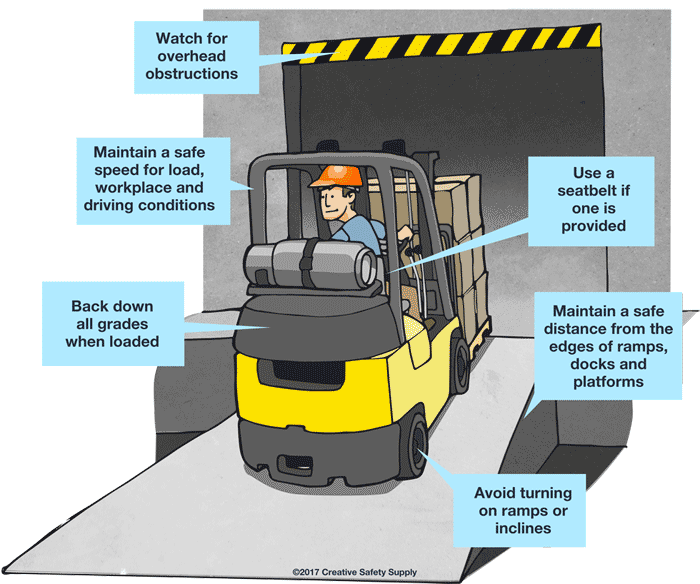 For companies looking to improve forklift safety, the following tips can be very helpful. Many of them are simple to implement and can have a direct and immediate effect. Qualified Operators - Only operators who have gone through the proper training and gotten certified to operate forklifts should ever use them. Safety Inspections - Forklifts need to be inspected regularly to ensure they are in proper working order. Even small mechanical issues with a machine like this can lead to serious accidents. Check (then Double Check) The Load - If a forklift load is improperly balanced it can break lose and fall. This will not only mean damaged supplies, but can also injure those in the area. Never Give People Rides - Forklifts are only designed to carry objects, never people. Only the forklift operator should ever be transported on this type of vehicle. Safe when Not in Use - Anytime someone gets out of a forklift, it is important to make sure it is turned off and the breaks are engaged so it won't unexpectedly move. Exhaust Fumes - The fumes from the propane or gasoline can become dangerous in enclosed areas, and must be considered whenever in operation. Don't Push with Tips - The tips of a forklift can damage objects quite seriously, and should never be used to push anything. In addition to causing damage by the impact, they can easily crush most things if they apply pressure against another object. As with almost every type of workplace safety, the best place to start is with an excellent training program. These training classes will primarily be focused on teaching operators how to do their jobs properly and safely. All employees can benefit from learning about forklifts though. 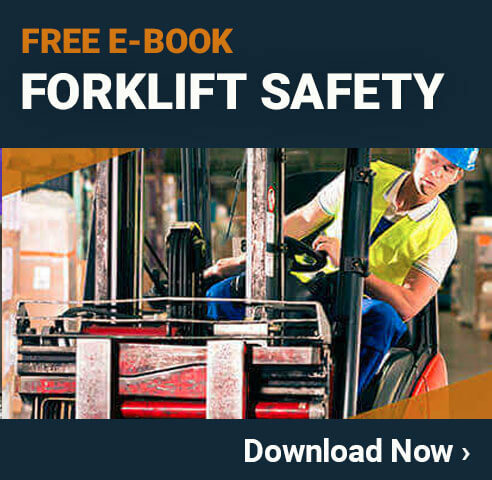 Since just about everyone who works in a manufacturing facility or warehouse will encounter forklifts at some point, it is good for them to know as much about them as possible. Letting people know that they need to leave plenty of room around the forklift at all times is a good start. Also, teaching employees where the forklift operator can't see is critical for keeping them out of these areas. Developing an effective safety training program can take a lot of time and effort, but it is an investment that will result in a much safer work environment.